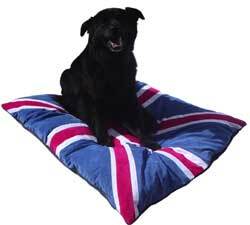 Union Jack Dog Beds. Fly the Flag. 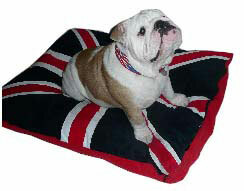 Home / Beds, Bags, Bandanas, Jumpers, Gifts / Union Jack Dog Beds. Fly the Flag. Wow! These really are just too wonderful for words! Hand stitched, with cosy faux suede front, polar fleece back and 2 luxurious duvets inside. All machine washable, just do not TUMBLE.